Reality star Kylie Jenner is having trust issues with Boyfriend Travis Scott after a recent cheating scandal. The longtime couple Travis Scott and Kylie Jenner aren't going quite well in their relationship after Kylie witnessed Travis cheating on her. It all started when 'SICKO MODE' rapper returned back to his LA East Coast home to meet his 1-year-old daughter Stormi Webster and girlfriend Kylie Jenner. Surprisingly, the situation turned out to be different soon as the 21-years-old Jenner pulled out the evidence of the cheating scandal. 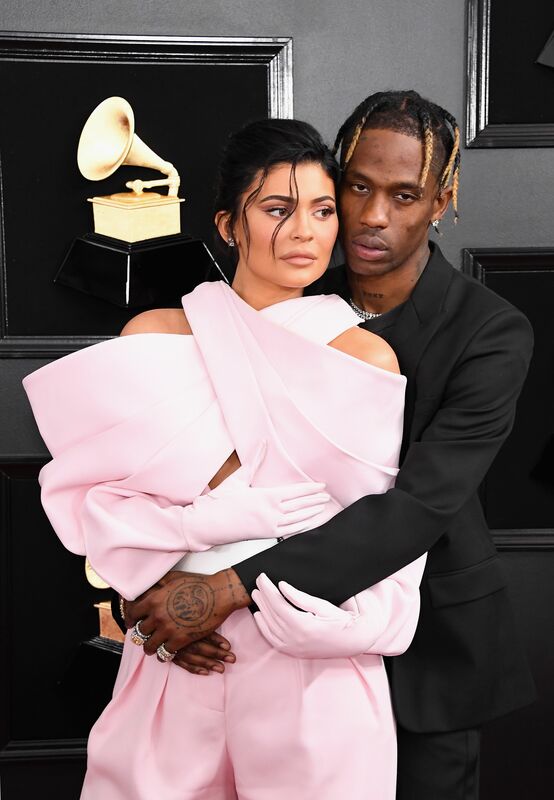 Keeping Up with the Kardashians star Kylie Jenner and Travis Scott during Grammys 2019. According to Elle, Forbes' young billionaire Kylie secretly spied Travis personal cellphone and found him guilty with extra-relational affairs with several women. Soon after the allegation, Travis deactivated his Instagram for a couple of days. Consequently, after the accused cheating scandal, Scott canceled his Astroworld tour to sort out things between them. But the Butterfly Effect singer explained the reason behind the cancellation as his ongoing health problems. "they've been in communication…but only in spurts"
"The relationship isn't even close to what it used to be, Kylie has some serious trust issues with Travis, and it hasn't helped that he's been on tour almost nonstop." But the duo shared to TMZ that they are "confident" regarding their relationship and planning to work things out soon after Scott get the break from his tour next month. However, Kylie and Travis haven't officially stated anything regarding their ongoing relationship disputes. We hope they shortly solve all their ongoing relationship barriers and continue their blissful relationship.